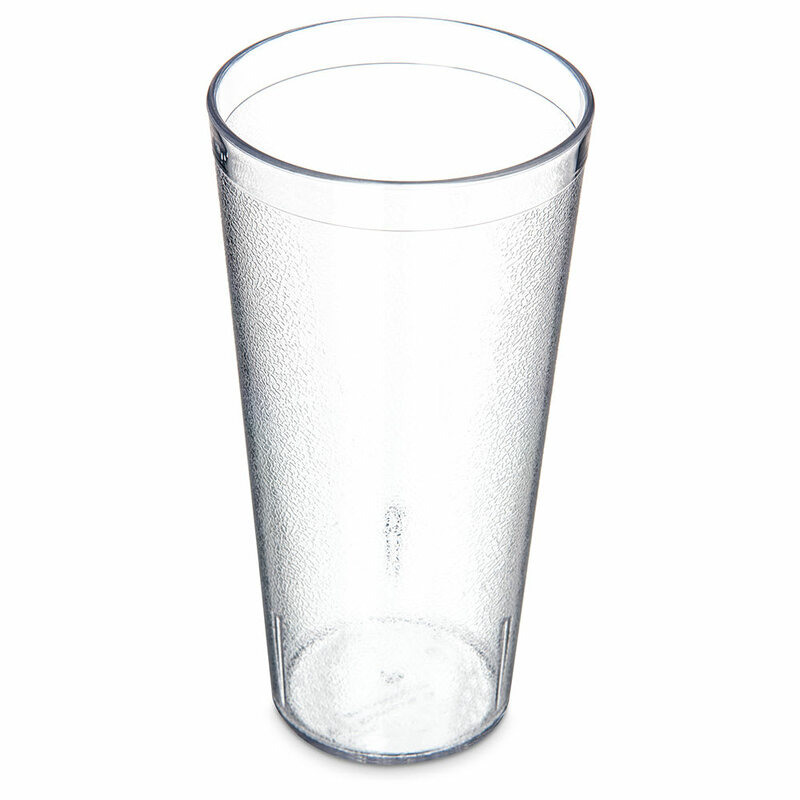 The Carlisle 522407 tumbler has a flush fill capacity of 26.5 ounces, which will allow your customers to enjoy 24-ounce servings without worrying about spilling their beverage. It is constructed from clear SAN plastic, which contains no BPA. This durable material is resistant to breaking, chipping, and staining, and the tumbler's appearance is further protected by a textured exterior that helps disguise obvious signs of wear and tear. Designed for busy foodservice operations, the Carlisle 522407 tumbler is dishwasher-safe and can be used with temperatures from 0 to 180 degrees Fahrenheit. 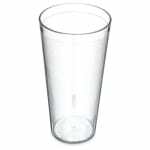 It also has tapered sides that make it easy to stack multiple glasses without worrying about them jamming or sticking together. Overall Dimensions: 7.18 H x 3.63 in. top dia. x 2.63 in. bottom dia. "great service, fast delivery, item exactly what I ordered"
"I was a little disappointed when 2 of the tumblers were broken when I received my order, but completely surprised and elated when 2 replacements..."
"I was a little disappointed when 2 of the tumblers were broken when I received my order, but completely surprised and elated when 2 replacements arrived at my door!!" "Exactly what I was looking for. I'm glad you sold by the dozen. Definitely more glasses than I needed but was glad I could but the smaller volume than available from other online suppliers."